I sat down and talked with Skipper Wise at International CES 2015 while at the Gibson booth. Skipper was part of Blue Microphones until they sold it in 2013. He took some time off, but Gibson wanted him to bring out a line of microphones for their brand. So he came out of retirement to create something pretty sweet. 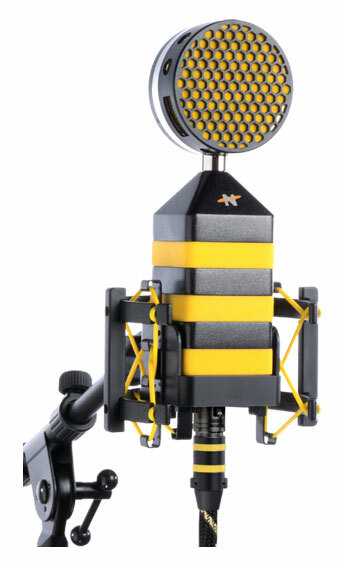 Its called Neat Microphones, and their concept is around the “Bee” line. From Beestro to Beehive, Bumblebee to King Bee. I got to see the Worker and King Bee mics in action when Ryan Whyte Maloney recorded in their Gibson studio. Even the microphones get their own XLR Beeline cables and the shockmounts are open-faced to allow the microphone’s look to pass through. A line for studio recording, a line for home recording and podcasting. Best part – the USB desktop microphones will record in 24-bit/96 kHz. They will be a little more expensive than a standard podcast microphone, but I expect the quality to be a lot better. You can pre-order Neat Microphones now at B&H. If you buy a mic, you will get a Bee figurine which will have a serial number in the back. With that, Neat Microphones will be giving away stuff through your figurine.